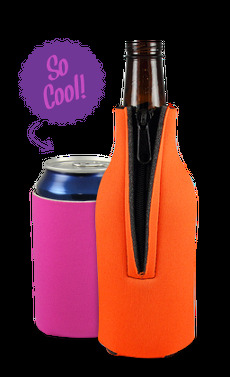 Using a custom pitcher koozie will ensure the pitcher of beer doesn't get warm as you and your friends near the end of it's contents. Don't worry about covering up your custom made pitchers anymore by including the branded pitcher coolies to your drinking accessories. Have every drink you pour stay just as cold as the fridge it came out of with this customized insulator. The pitcher coolie is made from a premium 1/8" thick Scuba Foam, designed for keeping thinks ice cold. The personal coolie is made to fit our 64 oz beer pitcher . Don't just add a logo to the pitcher itself but also add a 1 or 2 color imprinted logo or phrase of your bar or restaurant to this custom Pitcher Koozie and get double the promotional activity. Imprint Area: 4.5" x 4.5"